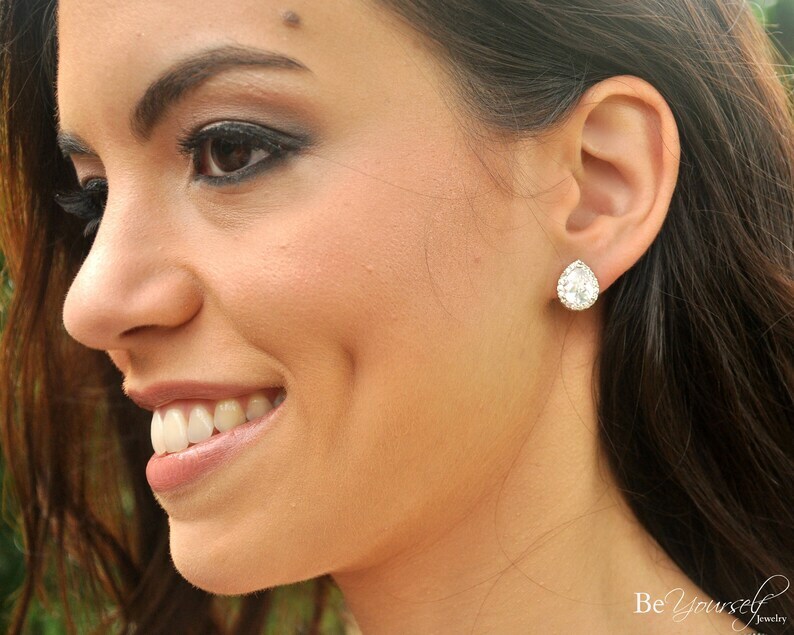 White crystal teardrop earrings that are perfect for weddings and special occasions! 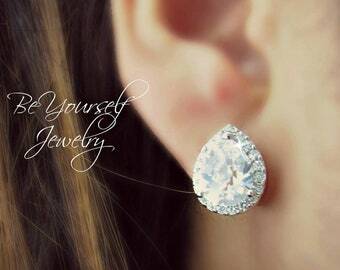 These elegant and timeless cluster earrings are made with high quality Cubic Zirconia components! Your bridesmaids will love them and continue to use this jewelry all year round! - These earrings measure about 11X14mm. - They are hypoallergenic, luster Rhodium plated and tarnish resistant. - Also available in yellow and rose gold. Contact us if you would like to order multiple items for your bridesmaids. We are very easy to be reached and usually reply to our messages right away. Special discounts are available for multiple orders. Don't forget to read our FAQ below for more information. * Special thanks to all the beautiful clients that sent us their gorgeous wedding pictures! My girls are going to love theses earrings ! They will look so good with there dress thank you amazing service worked with me on a deadline ☺️ thank you !